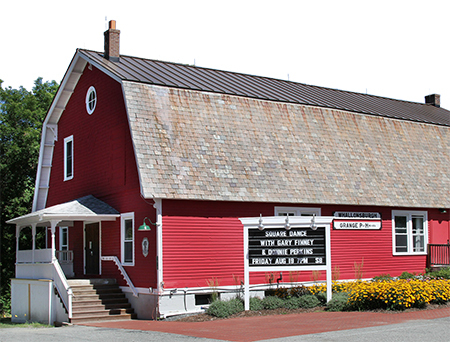 On November 6, residents of Essex voted overwhelmingly in favor of renewing the agreement between the Whallonsburg Grange Hall, the nonprofit that runs the Grange, and the Town of Essex, the building’s owner. The agreement recognizes the hugely successful, community-wide effort over the last ten years that has led to the rebirth of the Grange. It expresses both support for the ongoing project of rebuilding this vibrant community center and confidence that it will continue to flourish. With the referendum vote behind us, the Grange can look ahead to the future. The next 10, 20 or more years depend on your continued support. As a volunteer-run center, we do everything possible to keep our expenses down and our program quality high. But the costs of heating, maintaining, and running this year-round facility are still substantial. The Grange receives no ongoing state support nor major grant funding to pay our operating expenses. That comes from you and other supporters throughout the area. Any amount you can give today is an investment in the future of one of the region’s finest arts and community centers. This year, we have launched a special campaign for Sustaining Donors who can pledge to make an annual contribution of $1,000 or more. This will help put the Grange on a more stable financial foundation. If you can join our Sustaining Donors please contact the Grange office directly: admin@thegrangehall.info. The laughter, music, and applause that filled the Grange at the Beartracks concert a few days after the Essex vote was a great reminder that it is what we do together that makes us into a community. And it is also how the grand dream of bringing the Grange back to life is being fulfilled. Thank you for being a part of it.